Parental Ideas: Fun new TV show for the start of the Red Sox season! 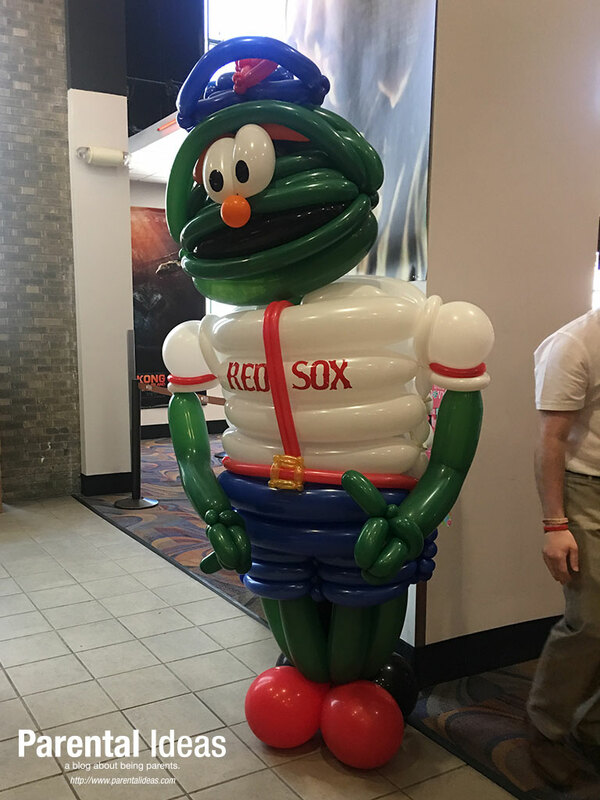 Fun new TV show for the start of the Red Sox season! Today, the Boston Red Sox released a cool new TV show on NESN, Wally's Opening Day, for the start of baseball season! 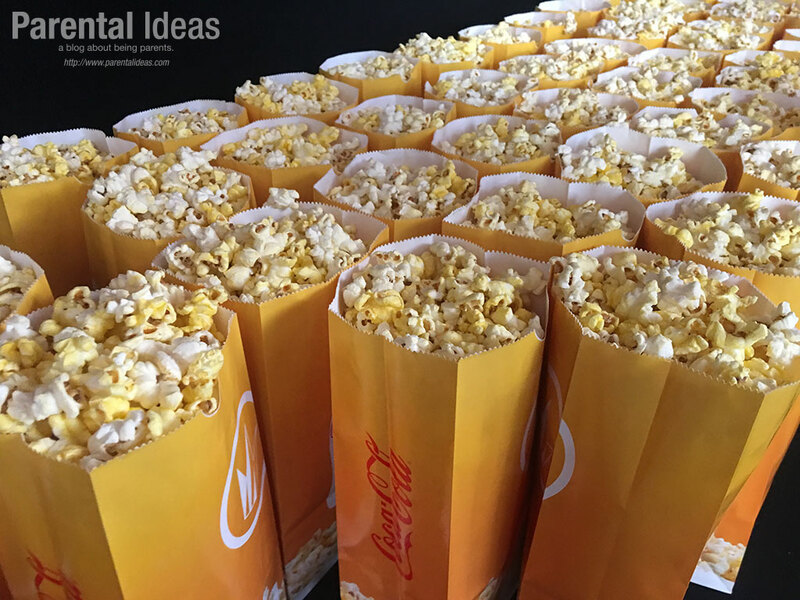 We were lucky enough to be invited to the world premiere showing at the Regal Cinemas Fenway 13, steps from Fenway Park. 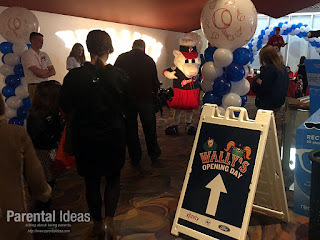 We arrived to a fanfare atmosphere and were greeted by our friends Paws and Sox, the mascots of the AAA-affiliate Pawtucket Red Sox! We picked up our passes and enjoyed some antics from Big League Brian, the guy who is always on stilts at every game, entertaining fans before each game on Yawkey Way. We proceeded to take a few photos of the kids with cardboard cutouts of the characters from the show which were positioned along the green (not red!) carpet. 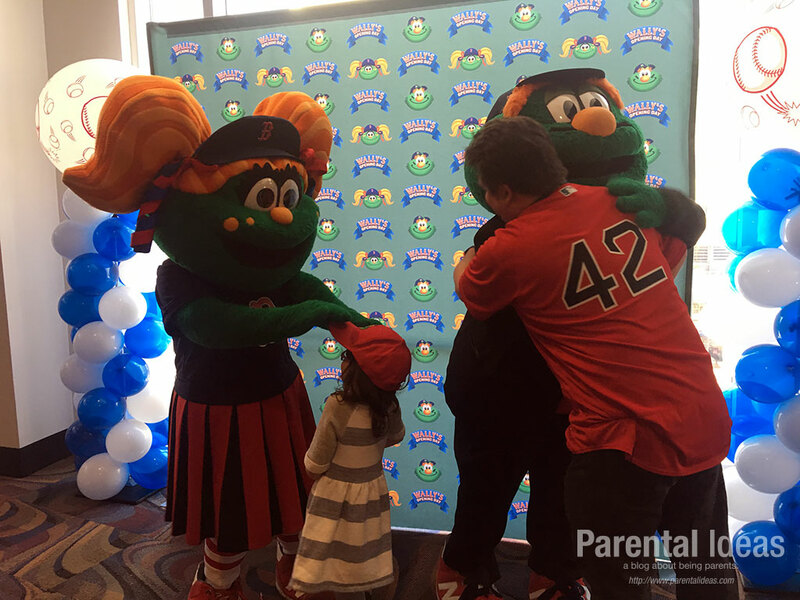 At the end of the carpet, we saw the Monsters of the hour, Wally and Tessie, who were taking pictures with their adoring fans. We had our picture taken and it was cool to see Wally in a tux. 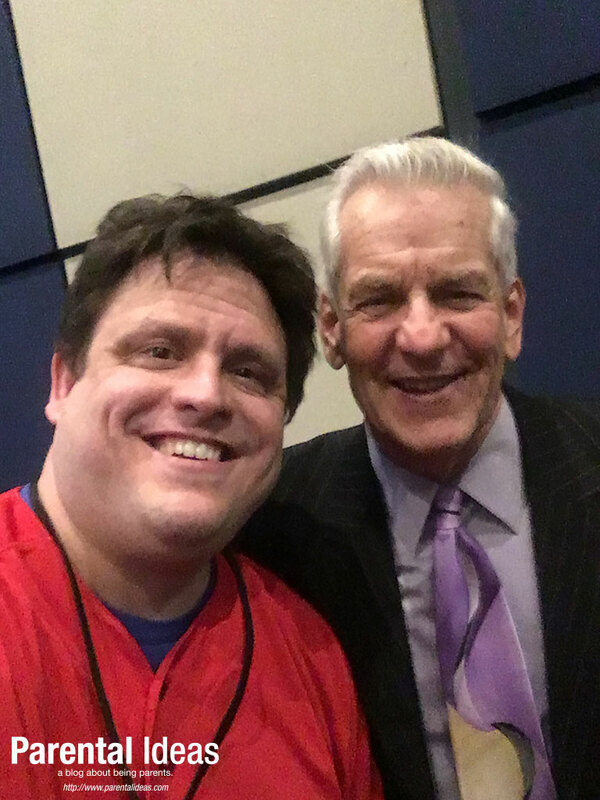 We chatted with a few other fans, had the chance to meet one of the stars of the movie, comedian Lenny Clarke, who graciously took photos with us. 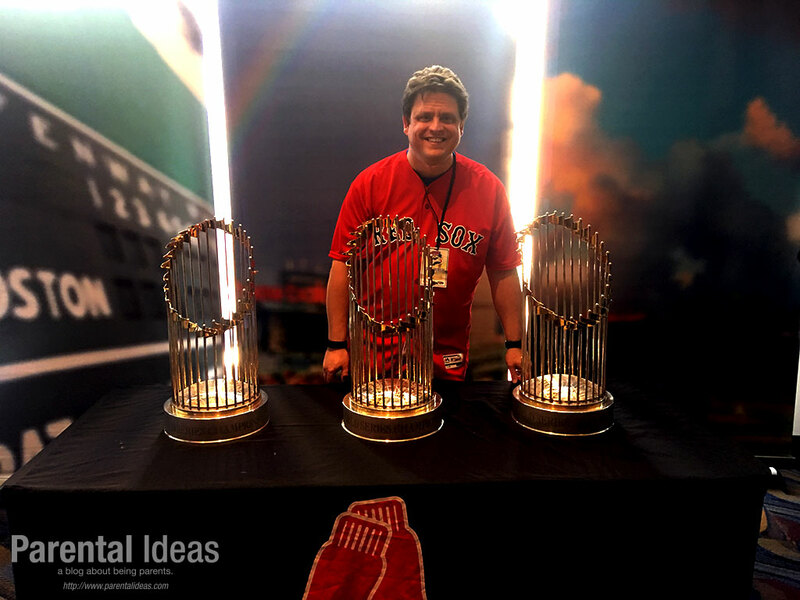 We took photos with the other mascots who were there, Pat Patriot, Blades from the Bruins and even took photos with the World Series Trophies! 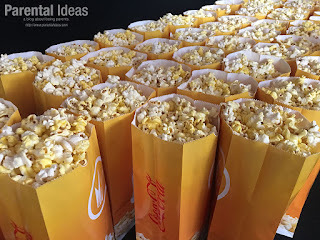 We were treated to delicious movie-theater popcorn, Coca-cola and water. 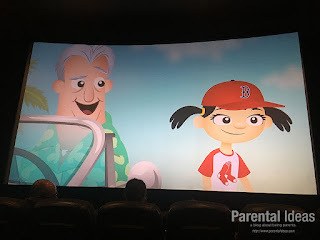 After an introduction by Lenny Clarke, the voice of Grandpa in the show and a few opening remarks from Linda Pizzuti Henry, executive producer and wife of owner John Henry, we watched the movie. She said that she hopes it would follow an annual tradition similar to the Peanuts' holiday series. After watching it, we'll be sure to watch it for years to come. We followed the story and laughed along the way. Tessie sat with my daughter for the whole show, which she really enjoyed and it was really special. Once it was over, we were handed a goody bag and an official movie-theater poster from the show as we left the theater. Now I can't wait to see the first game of the season tomorrow! 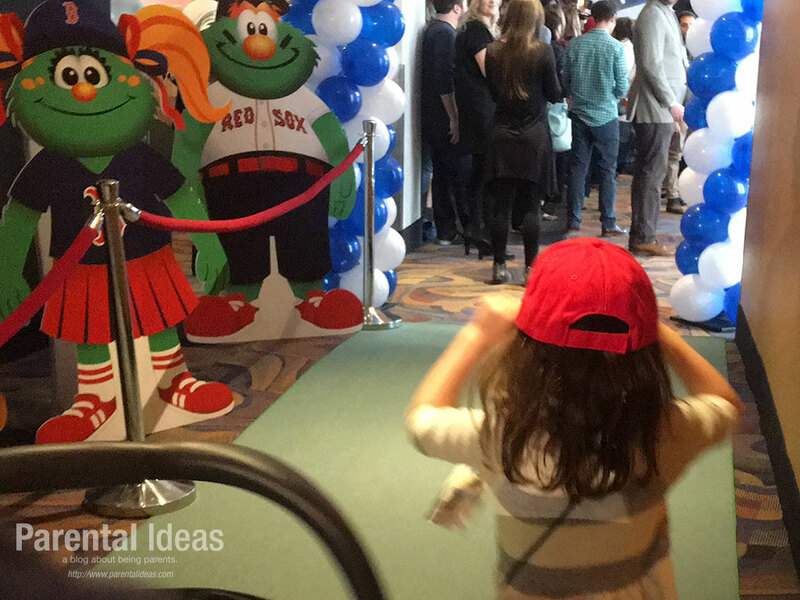 NOTE: We were invited to the movie premiere because we're Red Sox Parents. No other compensation was provided and as always, all opinions are our own.